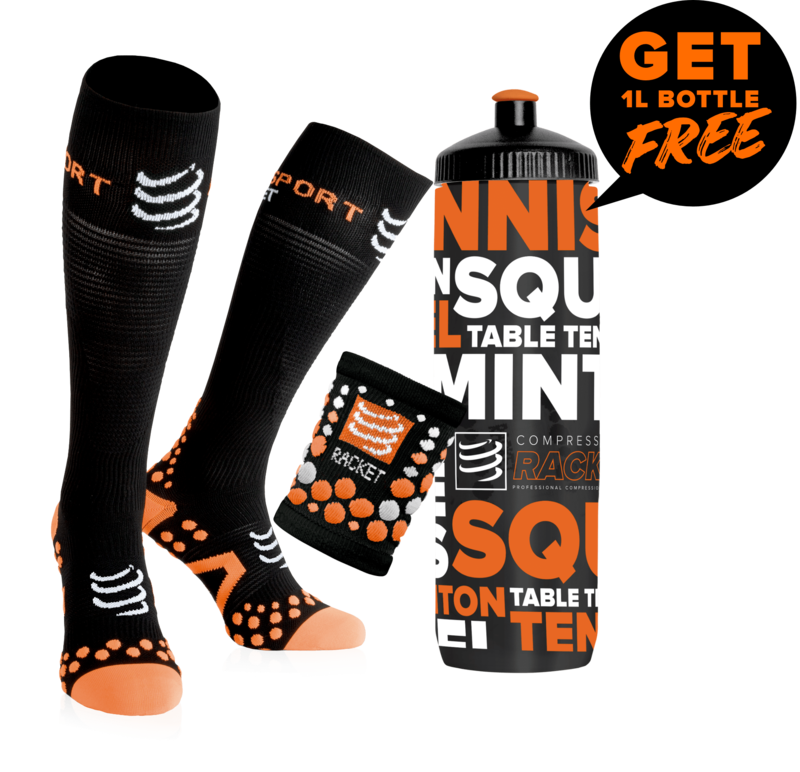 The Compressport Racket Pro Silicon R2 black calf compression sleeves reduce the accumulation of toxins and allows a much faster recovery. The Compressport Racket Pro Silicon R2 compression calf sleeves provide an important oxygenation to your muscles allowing you to play more intensely while preserving your legs. With these compression sleeves, you will also be less tired because it limits the vibrations of the muscles, which reduces muscle fatigue. The Compressport Racket Pro Silicon R2 compression calf sleeves allow you to fully enjoy your squash sessions by reducing the accumulation of toxins and limiting shocks on your muscles and your joints. These compression sleeves are also pleasant and comfortable with their massaging fiber. It protects you by limiting the shocks. Play serenely with the Compressport Racket Pro Silicon R2 compression calf sleeves.